Jill Of All Trades: Bangalore Calling! It’s been almost six months since I last travelled and took a vacation; even the last one was a mini-vacation to Goa. So, obviously I’m pretty excited about my travel plans to Bangalore next month for my cousin’s wedding. I have extended the stay by three more days since it is going to be a weekend, and yes, it’s our third wedding anniversary. So of course, I’m mighty excited. 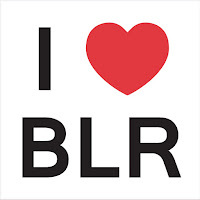 I booked return flight tickets for Bangalore well in advance so as to grab a good deal. My plans as to what to do there over the weekend are still not entirely outlined. Therefore, I started searching for Resorts in Bangalore. Now I know that Bangalore has become quite the party destination and has great lounges and all that. However, I think I am looking for a relaxing weekend after the crazy hectic days here in Mumbai. Also, after the first two days attending the wedding functions, we would be exhausted. So, I put in my check-in and check-out dates along with other requirements and hit the search button. There are some really nice resort options available, and what’s even more awesome is the fact that I am getting a crazy deal on Cleartrip wherein if I make bookings from the app, I get a 40% cashback plus extra 10% off, which is as good as 50% discount on the prices! Places I totally want to visit over the weekend include The Bangalore Palace, Tipu Sultan’s Palace, UB City, Snow City, Cubbon Park, and V R Mall. I’d definitely try to plan something special for our anniversary, so if you know Bangalore well, please do give your suggestions. I have already made it a point to look up how the weather in Bangalore in November is like; evidently, it is mostly sunny and warm with chances of rain. If I want a cooler climate, I will have to consider going to the nearby hill stations such as Coorg and Chikmagalur, but that means travelling 5–6 hours each way by road with my 1-year-old baby, which is something I want to avoid. Instead, relaxing in a nice resort in Bangalore itself sounds more tempting. After all, my main agenda is to relax and unwind, eat, drink, make merry, celebrate life, and maybe take a spa or swim every day. Of course, the most important being spending quality time with the husband and baby, which does not happen in the daily grind here in Mumbai. Totally looking forward to it. In a country like India, vastu shastra dubai is considered one of the basic requirements while constructing a property or building according to pre-specified principles. It is necessary to follow these principles for wealth, health, fame and prosperity in life. Though it has become difficult to follow each and every principle in the present era, it is important to make maximum use of tenets in order to achieve peace and harmony in life.